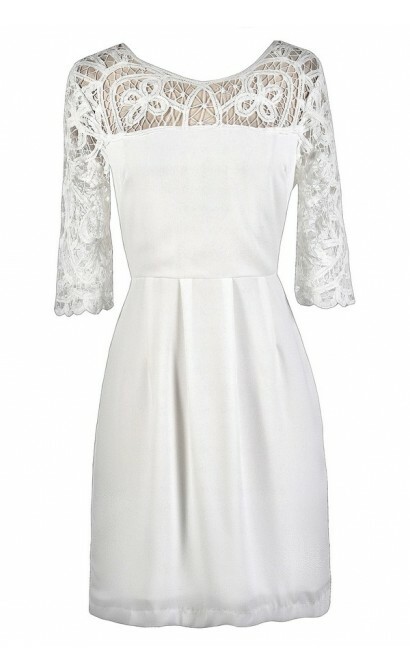 You have added Something Extra Crochet Lace Neckline Dress in Off White into shopping cart. This pretty sheath dress is a great classic look with a little something extra. 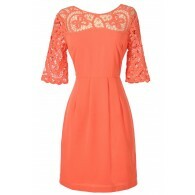 The Something Extra Crochet Lace Neckline Dress is made of a fluid fabric and is fully lined below the waist. 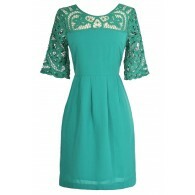 This dress has a rounded neckline and sleeves made of sheer crochet lace. The attached skirt has a classic sheath cut that makes it perfect for almost any occasion. A hidden back zipper completes this dress. The Something Extra Crochet Lace Neckline Dress would look awesome paired with pumps and a clutch. You could wear this dress to a wedding, summer party, or any social gathering. Details: Lined below the waist. Hidden back zipper. 100% polyester. Hand wash cold. Small measurements: Length from top of shoulder to hemline: 34". Bust: 32". 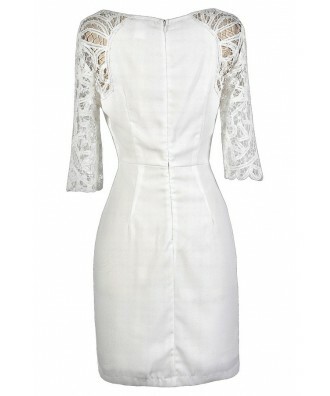 You have added Something Extra Crochet Lace Neckline Dress in Off White into Wishlist. 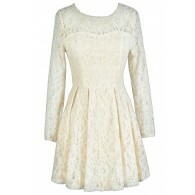 You have added Something Extra Crochet Lace Neckline Dress in Off White for Stock Notification. 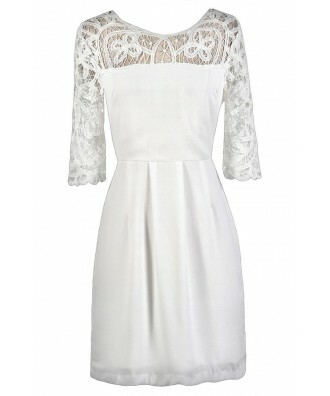 You have set Something Extra Crochet Lace Neckline Dress in Off White as a loved product. 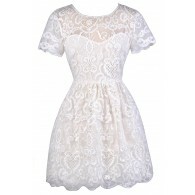 You have removed Something Extra Crochet Lace Neckline Dress in Off White as a loved product.